Flat and curved surfaces with functionality of high static friction are increasingly needed for force-fitted nonslip power transmissions. The motivation is driven by the desire to have a higher safety of function and further cost reductions in manufacturing. 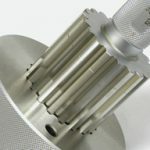 Expensive solutions such as diamond layers, diamond coatings, or form-fitting design are increasingly being substituted. A modified laser process with defined exposed micro-structures is the alternative for innovative manufacturing. The tool is exclusive with the laser beam, which produces a high density of energy. Laser machining of surfaces with high static friction is an established application of laser technologies. Exposed micro melting burrs of less micrometer height with martensitic material structures are the precondition for the required high friction. So, such high static friction surfaces can be produced economically with repeatability of small tolerances in high volume productions. Machines with laser structuring with high automation degree are part of the production lines of modern manufacturing plants. Beside the lasering process, machine design and handling, the design of structures for each individual application needs the specialist’s know-how. 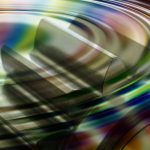 Based on these test applications and case studies, mass production of high-volume applications can be realized. 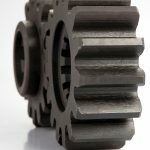 Con rod and cam structuring for high torque resistance or front face connections of sprockets, gears, or camshaft adjustments are frequent applications of this technology. This presentation of laser structuring technology shows in detail the tribological background of adhesive friction, different topographies of exposed laser structures, possible design of frictional connections for taking high forces or torques and examples of high-volume solutions of laser-structuring. The intention of this paper is to show production solutions which lead to higher efficiency and lower input for simple and lean manufacturing. 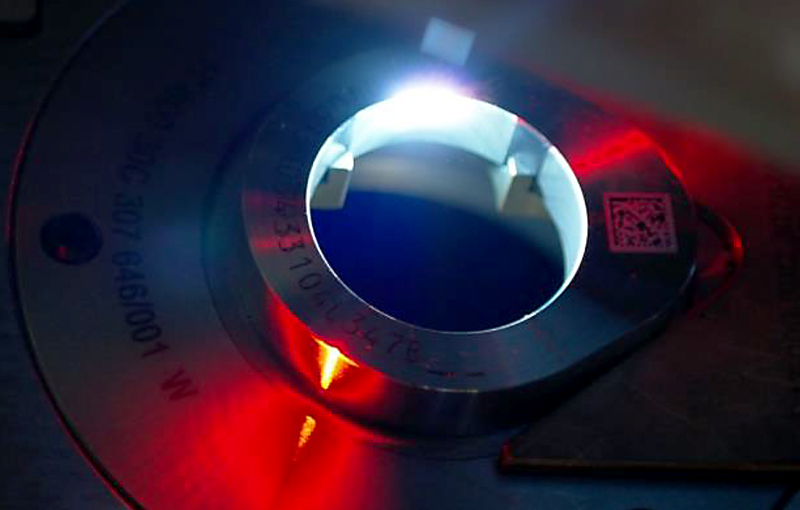 The production of surfaces giving static frictional connections with the counterpart is more and more realized with the modified laser beam. For this purpose, the contact surfaces actuated by adherence are laid out with topographies that assure the function of work pieces as components and that can be produced in a cost-efficient way. The requirements of such connections consist of the loads by torques and shearing forces. The system is to be kept in the state of adhesive friction during the different operational conditions and it does not allow any relative movement of the contact areas. As shown in Figure 1, the maximum of the adhesive coefficient is to be increased as far as possible by a suitable laser structure of the surface. The control of friction-type connections is done at adhesive test benches or by function tests loading up the system to the adhesive limit at which the system is set in motion with sliding friction. 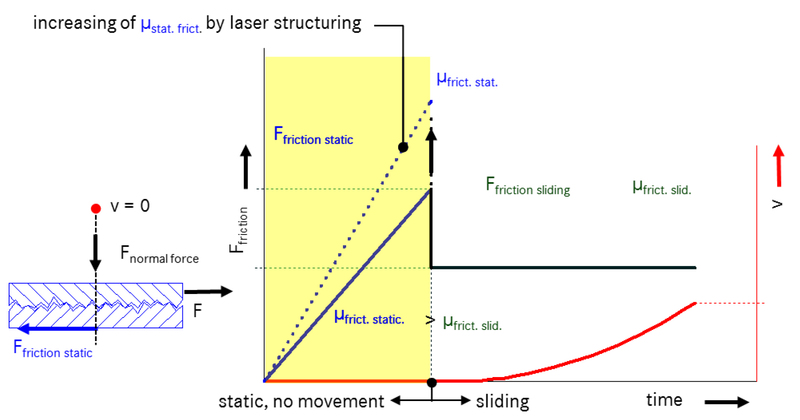 Figure 1: Increase of adhesion by laser structuring. Figure 2: Twist tests with laser-structured surfaces (Measurements of TU Chemnitz, IKAT). This principal feature of the adhesive system is demonstrated in the stress test as shown in Figure 2. Hardened and structured contact surfaces are loaded against non-structured and unhardened ones with an axial force of 80 kN more than 60 seconds up to a twist angle of 4 degrees. The course of torque is indicated as target value. The contact areas (di = 15 mm, da = 30 mm) were dry and free of grease. At the passage of adhesive to sliding friction there is a maximum of the adhesive value. Two structures each were tested with cross hatch structure having 8 µm (V1) and 15 µm (V2) of profile height. A point structure with profile height of 15 µm (V3) was also tested. The determination of the adhesive friction value as direct system figure or as indirect functional criteria delivers profound research results. At the adhesive friction bench or in the functionable aggregate the structures can be evaluated regarding their effects. They can be further developed and also be defined for a serial application. Every structure for the increase of the adhesive friction is characterized by a raised profile contour having invasive influence to the surface of the counter body. It is pressed into the usually non-structured contact surface. Following manifold micro form profiles are produced which can absorb shearing forces. 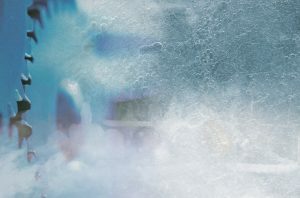 They produce a frictional connection with high adhesive friction value. Apart from the elevation characteristic and structure density, the structure hardness is of high importance. By means of the thermal effect of the laser beam, a transformation of hardness is generated due to the short time of heating. The high cooling off velocity delivers local martensitic structures. As a function of the material alloy different hardening is formed. Besides the twist tests, shear tests are also possible. 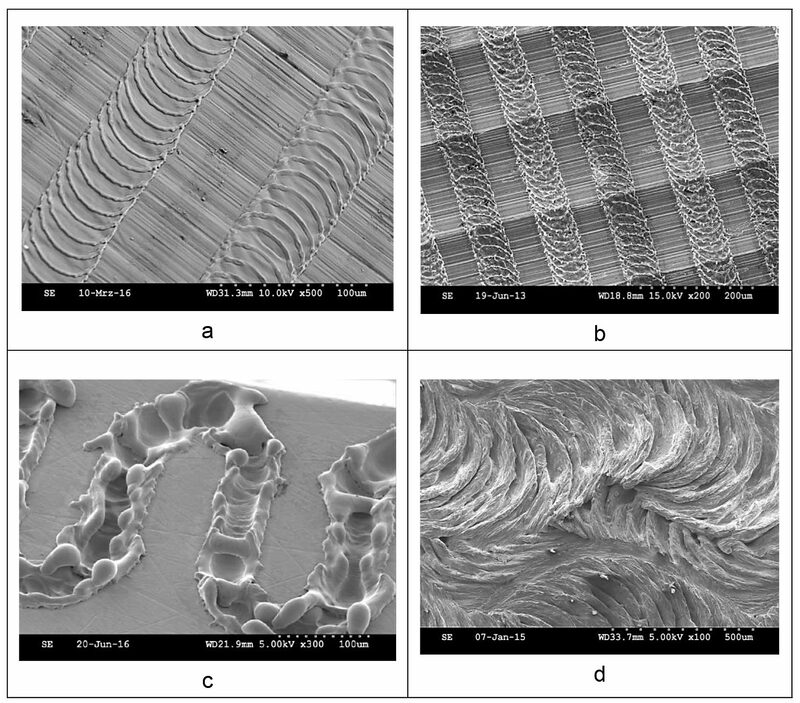 Figure 3: Laser-structured adhesive friction surfaces of cams (a), connecting rods (b), front face connections (c) and pre-treated substrate surfaces (d). The SEM pictures of Figure 3 show different roughening topographies. Structure (a) can be exclusively raised, having low profile elevations, without deepening. In this case, material is melted evenly, which extends during the smelting process in a raised matter and solidifies in appropriate contours. The structure lines are equidistant superposed (b) at e. g. the fine bored profile of the pre-machining operation. The examples (a) and (b) are suitable to absorb torque of shaft-hub-joints. The structure lines are hereby orthogonal to the tangential force direction. Between the structures (c) with higher profile elevations, there are often deepenings caused by the material transfer as shown by the meandering band structure of a front face connection. Distinct deepenings with lateral melting burrs and with surfaces being melted evenly distinguish this kind of structure. This meandering band structure is suitable to assure the transmission of torque within front face connections. Profile (d) shows a squamous structure with micro-recesses. It is suitable to join layer materials to substrates. Laser-structuring of adhesive friction surfaces in rigid friction-type connections can substitute positive locking design connections or other expensive friction-type connections such as diamond interlayers. 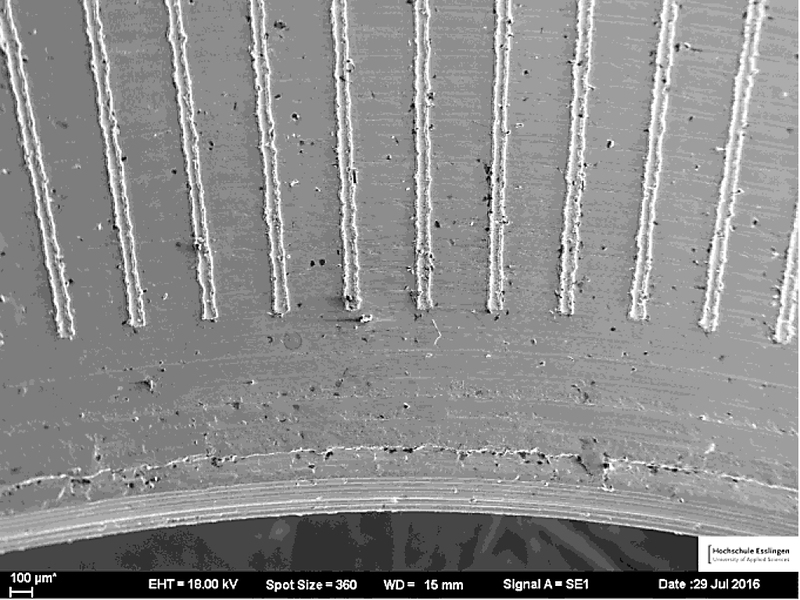 The achievable adhesive value is depending on the depth or the height, respectively, and the profile shape of the laser structured roughness profile, the arrangement of the structure density, the martensitic properties of lasered materials, the normal force and whether lubricant is embedded in the contact surfaces or not. Referring to unstructured surfaces, the adhesive values can be trebled up to f = 0.6 up to 0.9 by laser structuring compared with untreated smooth surfaces of f = 0.05 up to 0.15. 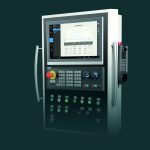 However, the user makes more and more functional tests by measuring functional parameters, without any knowledge of real friction coefficients. Figure 4: Friction-type connections of cylindrical surfaces by means of laser structured adhesive profiles, (a) Shrinking connections shaft – cam, (b) Clamping connection shaft – hub, (c) Assembling of bearing shells in the big connecting rod eye. Figure 4 shows different examples of connections with torsional strength having cylindrical contact surfaces. A shrinking connection (a) with the laser-structured inner surface, e. g. of a cam and the shaft only, enables the cost-effective built camshaft in serial production. Laser-structured adhesive structures are easier to realize than inner or outer broached micro toothed systems. In example (b) the laser-structured contact surfaces are engaged by clamping. The alternatives of positive connections are expensive. In this manner pin or fitting connections can be replaced by friction-type contact surfaces with high adhesive friction generated by the laser structuring process. Also, the possibility is given to improve friction-type designs such as shell or taper couplings regarding their torsion strength. 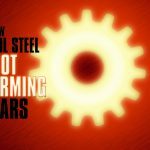 Laser structuring of big connecting rod eyes (c) assures the torsional strength of the bearing shell. In conventional production, the adhesive friction between bore and outer side of the bearing shell is achieved by roughly honed surfaces. In the innovative laser process, single structured areas are partially added. Their elevated peaks are pressed into the bearing shells by the assembling forces. Principally, there is the possibility to structure the shaft as well as the bore. Even though it is easier to structure the shaft, which is freely accessible from outside, it is, however, of importance at which part the higher structure hardness is applied. Therefore, the hardened cam or the tempered material of the connecting rod eye is structured so that the structure is pressed into the softer counterpart as far as possible. It must be assured that during the joining operation of the components, the elevated topography is not damaged by shearing effects. The contact surfaces are to be fitted by a normally aligned movement only. During connecting a shrunk or clamped joint, sufficient clearance for the positioning of the parts without any risk of collision is required. The contact surfaces should be preferably dry and free of grease. This increases the load capacity of the connection. Figure 5: Friction-type connections by means of laser-structured adhesive surfaces, (a) Front surface joints of shafts for torque transmission, (b) Evenly pressed connection of plain surfaces for shearing force transmission. Another category represents the frictional connections of plain functional surfaces for the transmission of shearing forces or torques respectively as shown in Figure 5. The laser-structured front surface (a) often designed with an alignment element replaces cost-intensive solutions such as form-locked joint coupling with frontal toothing or inserted diamond or SiC interlayers as slices for the increase of the friction value. 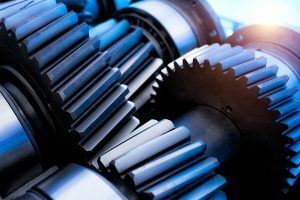 Applications related to the combustion engine such as pinion, camshaft adjuster, ball bearing, or related to the chassis frame are more and more demanded alternatives to the expensively built solutions with slices and interlayers. The evenly pressed friction-type connection (b) can be used for the positioning stabilization of components during the assembly stage. Contours can be also included for the positioning procedure. By the crank pin, which is the joint between connecting rod and crankshaft, the stroke movement of the piston is transformed into the rotational movement of the crankshaft. The design of this bearing consists of the big connecting rod eye, the bearing shell, and the crank pin of the crankshaft. Between the crank pin and the inner side of the bearing shell is a rotational relative movement. This joint is laid out as a sliding bearing, and it works with preferably low friction. 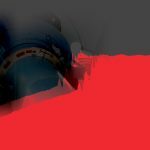 However, between the outer side of the bearing shell and the connecting rod bore, there is no movement allowed. Here, a sufficient high adhesion is required that absorbs the frictions within the sliding bearing. Following a frictional connection is necessary, which delivers the suitable torque strength by the elevated topography of the connecting rod and their resulting adhesion. The structuring of the surface is mainly done by partially added single segments at the bore surface . It is essential that the direction of the structure lines with the raised melting burrs is orthogonally aligned to the absorbing load collective. Figure 6: Working station with inclined laser beam for structuring of surfaces. For the process of laser structuring, a solid body laser with scanning optics is used, which normally is applied for marking jobs. The two beam sources are arranged above the big connecting rod eye and laterally the connecting rod bore. They are positioned oppositely in inclined manner (Figure 6). The beam sources work simultaneously and each structure two areas within the connecting rod bore. In each unit the pulsed beam is guided only by the galvanometer scanners with each two galvanometer mirrors according to the structure layout. There is no mechanically actuated displacement or positioning of the beam. The focal movement at the component surface is carried out extremely fast, line by line with highest precision and simultaneously by the movable optics of the integrated scanning heads. The local melting and solidifying processes create elevated structures without any deepening. They have a width of approximately 60 µm and a peak height of 2 to 4 µm (compare with Figure 3b). 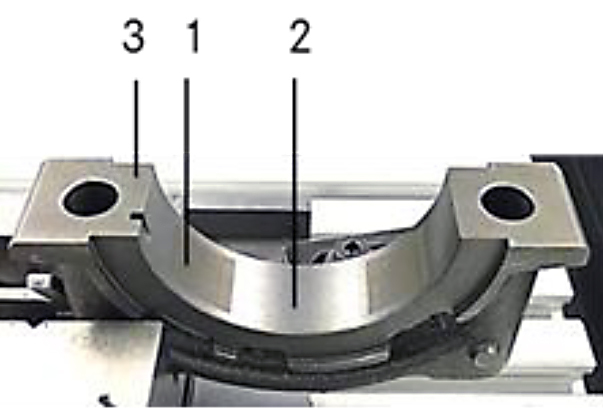 The use of two source beams enables the machining time for the big connecting rod eye of approximately 8 seconds. For the manufacture of built camshafts, the shaft and cams are machined as single parts and they are afterwards assembled by thermal friction-type connecting processes. To achieve a sufficient torque strength of the cams, their bores are structured for adhesion increase, and here again raised melting burrs are created. This production strategy of the shrunk cams is more advantageous with regard to the costs than the conventional camshaft production with monolithic design. The cam bores are ground internally. 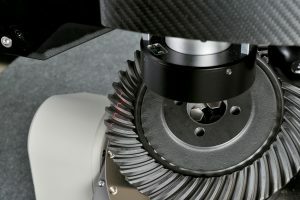 Four segments of the bore surface are laser-structured, such as for the connecting rod . Figure 7: Cam shown during the structuring process. The layout of the laser technique is similar to the connecting rod example. But the machining time is 2 seconds only and in case of two laser beams 4 seconds, as the surface to be structured is smaller. Besides the structuring of the four bore segments, also the data matrix code and a clear text (Figure 7) for documentation purposes are marked at the front side. The structuring result is similar to the connecting rod result. Instead of the grooves resulting from the turned structure, there is a fine ground topography in the background visible (see Figure 3a). Here the structure lines are also orthogonal to the tangential load. Another example shows friction-type connections applied in many sectors of the mechanical engineering and vehicle design for the transmission of shearing forces and torques. 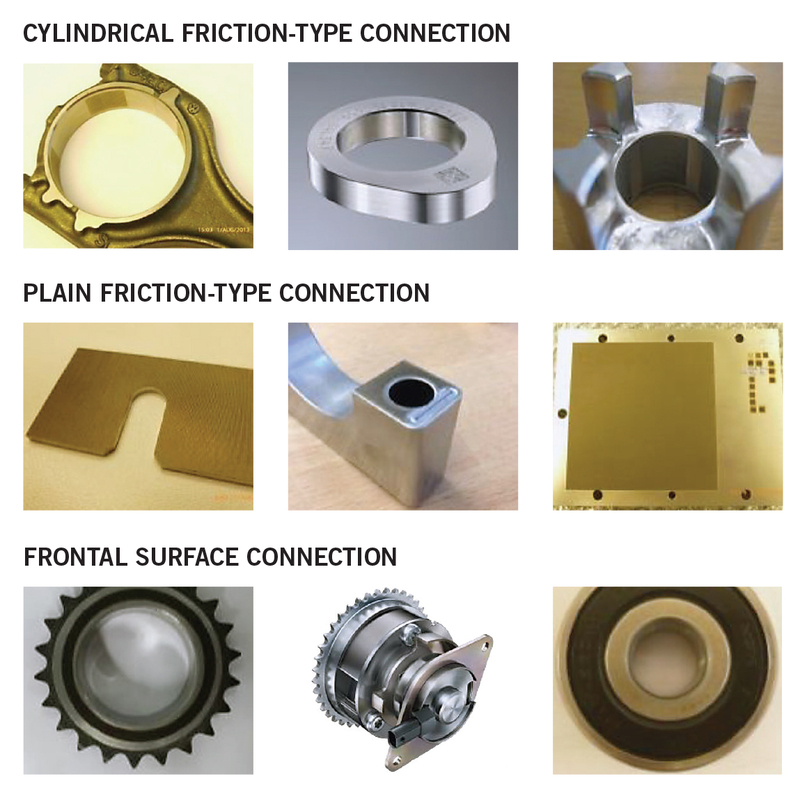 Besides taper and cylindrical friction-type connections, especially frontal face connections with plain contact surfaces are laser-structured in serial production . Camshaft adjuster, chain pinions, or gears are in the focus of this process. This technology offers the pre-condition to join reliably the innovative camshaft setter with the central valve of Schaeffler with the camshaft in serial production. This technology is a valuable contribution to the CO2-reduction. Figure 8 reveals the single radially-arranged structure lines of a machined frontal surface belonging to a frontal surface connection of a chain pinion. Figure 8: Radial structure lines of a frontal surface connection. Figure 9: Structured areas at the bearing cap of a crankshaft bearing. Different structuring models are shown at a component in Figure 9. The bearing cap of a main bearing can be also structured, such as the counterpart of the crankcase. In conventional production exists the conflict of objectives between form and surface by honing. At one side, a rough surface is desired to avoid the twist of the bearing shell. At the other side, the function needs a high accuracy of the roundness, enabling the contact surfaces a narrow form locking for a good heat transfer. By laser structuring of the main bearing, a high-torsion strength of the bearing shell can be realized by the roughly structured areas (1) of a cylindrical friction-type connection as well as a good heat transfer by the smooth unstructured areas (2). Further, the plain assembly areas (3) are structured as plain frictional connections so that a non-movable arrangement for the bearing cap is possible. 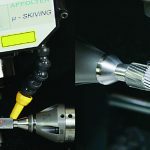 The existing experience of laser structuring of surfaces with high adhesive functionality in serial production meets the expectations of this innovative machining process. The advantage of laser structuring with integrated scanning is that the structuring segments on curved and plain surfaces can be freely dimensioned and positioned. In addition, the structure data and the tolerances of the different surface values can be adjusted by the beam parameter. The only tool is the laser beam with its high energy density. Tooling costs do not exist as known in common technical understanding. The structuring process is completely automatable and can be integrated in a production line. The measures of laser protection class according to EN60 826-1 are to be respected. 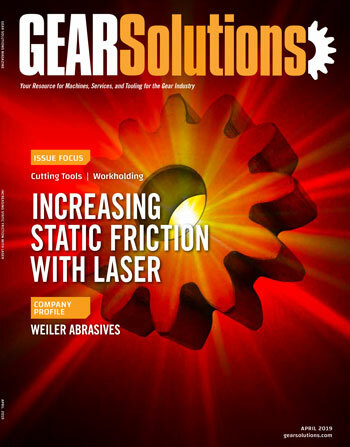 Laser structuring allows an increase of the static friction value up to five times. Compared with diamond interlayers, the costs/parts are significantly lower, depending on the volume and on the degree of automation. Table 1: Overview of laser structuring applications of adhesive connections(“1” camshaft adjuster with central valve, design Schaeffler). The manifold applications of laser structuring of adhesive surfaces are shown in Table 1 exemplarily. Comprehensive serial production experience has been made in the meantime. The high process reliability and qualitative repeatability make such kinds of laser process to a procedure of high-efficiency regarding production quality, automation, and operational costs. Gerhard Flores is head of Research and Development and patents at Gehring Technologies GmbH.